Herbalism offers both traditionally and scientifically based therapy for the wellbeing of the whole family. Supplementation is often used in conjunction with Biocompatibility testing to aid in the healing and restoration of tissue and organ function. Herbal formulae may be incorporated to improve digestion which is often impaired and is experienced with symptoms of indigestion, reflux, and heartburn and bloating. Many people are unaware of the negative impact disordered digestion may have on the entire system. Conditions of inflammation may follow with symptoms of fatigue, bloating, joint and muscle pain, eczema and other itching skin conditions, sinus and hayfever and menstrual problems may be common. Many people suffer ongoing symptoms without realising that they may be suffering from a functional disorder; no particular or serious pathology, but rather a feeling of unwellness. Often symptoms vary in intensity from vague to extreme, with some people being unable to function on a day to day basis through disordered digestion, altered bowel habits, migrating pains, headaches and fatigue. Common tests reveal little by way of explanation as to these ongoing symptoms. Herbalism provides a natural alternative where, following a comprehensive history of the patient, a thorough picture of the health of the entire person is considered and treatment is then recommended accordingly. 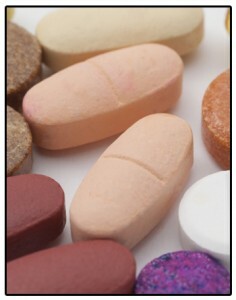 This may include life style changes, dietary advice and herbal supplementation. Ancient healers used traditional knowledge and the use of certain herbs and foods to promote the natural functions of the body without the benefit of modern technology available to therapists today. Unlike the synthetic chemicals of most modern medicines, herbs are used along with appropriate nutrition to nurture, tone, soothe and restore function. Today’s Herbal Therapists undertake extensive training in Anatomy & Physiology, Organic Biochemistry, Pathology, Nutrition along with the traditional use and scientifically proven facts of the actions herbs within the body, along with interaction with modern day drugs. Practitioners are required to hold a minimum of an Advanced Diploma in Western Herbalism to be able to practice. 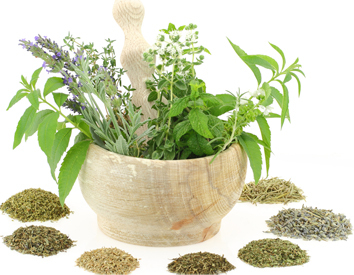 Many hours of research back the modern use of herbs as an aid to restoring function to the body. Herbalists view the body as a whole in order to ascertain a course of treatment and in addition to a thorough history of the patient, may use additional support therapies such as Iridology, Muscle Testing, Biocompatibility Testing, in an effort to strengthen organs and tissues and offer support during the healing process. Also commonly referred to as Phytotherapy, Herbalism is a traditional medical modality where whole plants or extracts made from plants are used to treat many common complaints. Plants are compounded of a great many natural substances. When all these elements of plant life are combined together in their natural state the combination forms a wholesome, delicate balance. Various forms are available to the herbalist and are made up of infusions, decoctions, tinctures and fluid extracts, used in formulations based on traditional formulations, that synergistically act in the body to tone, astringe, soothe, balance and heal dysfunction via various pathways. This is achieved by improving digestion, assimilation and elimination, increasing circulation of the blood to and from the cells, tissues and organs, providing the body with much needed nutrition whilst gently creating positive change at a sub-physiological level. Traditionally, herbs in Western Herbal Medicine are classified by the major therapeutic action of the herb along with the major active constituent contained within the herb, which provides a unique value of both stimulus and nutrition for tired cells. The Echinacea flower is synonymous with herbalism and is one example of a traditionally based herb that has been used for centuries to improve immune function and assist in the fight against bacterial and viral infection. This herb is one of many in a group of herbs commonly referred to as an alterative herb that restores proper function of the body, increases health and vitality whilst cleansing the blood and increasing elimination, which is achieved by improving the quality of the blood by promoting the cleansing action of the spleen, liver, kidneys and bowels. This is often referred to as a process of detoxification which may lead to improved digestion, assimilation and glandular secretions. Other classifications include anti-inflammatory, anti-spasmodic, anti-microbial, carminative, nervine or adaptogenic, just to name a few. Synergistically the traditional use of herbs work together in the body to provide nourishment, strengthen tissues and cells, relax and sedate the nervous system, stimulate secretory activity of the mucosa of the digestive tract, tonify arteries and veins that supply blood to organs and return blood to the heart for recirculation, assist the kidneys and intestines by way of improved elimination. Many herbs have a duel action and may improve function of several bodily functions or organs. Herbs are often used in their whole form, or as fluid extracts and tinctures and are mixed together in a formulation that may dilate blood vessels, promote functional activity, assist the body in healing, reduce local irritation and inflammation and tone and strengthen tissues and organs. Herbal formulae are often used in conjunction with supportive therapies to gently stimulate the bodily processes. Herbal laxatives along with bowel tonics to improve the motility and tone of the muscular wall of the intestinal tract and improve peristalsis, the body’s natural wave-like movement for elimination. It has been proposed by some leading authoritive Herbalists that many herbal remedies contain constituents that provoke a reflex reaction from the gut wall, which may be an essential factor in explaining the effect of the herbs on the body. Keeping this in mind it is imperative to remember the importance of maintaining healthy digestive function. Herbal remedies have been shown to dramatically improve the mucosal surfaces of the digestive tract over time with no known side effects. Herbs are renown for their gentle action with powerful results. Herbal remedies may be prepared in many ways. 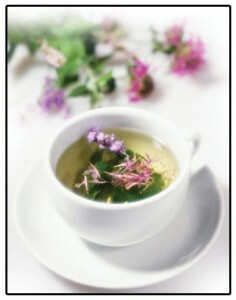 Herbal teas have been commonly used therapeutically for hundreds of years. Peppermint may aid digestion, Chamomile may soothe frayed nerves and settle an upset tummy. Fennel may be found to relieve symptoms of excess gas whilst Licorice may assist the functions of the liver and Adrenal glands. Herbal formulae are specially compounded to meet individual needs according to each patients’ specific symptoms. All symptoms are relevant , with a formula specifically meeting those requirements may be formulated at the time of consultation. 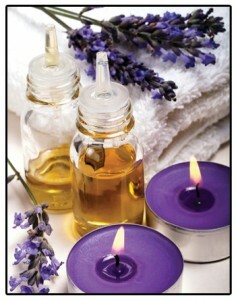 Essential oils are traditionally used topically in massage and are also an important component of many healing herbs. Whilst the extracted oils are not recommended for internal use, the whole herb provides the constituents in just the right balance to be utilised by the body to stimulate, soothe or heal. 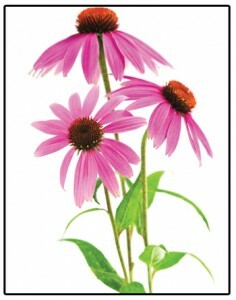 Their properties include Many essential oils and herbs are used in cosmetics, shampoos and conditioners. Essential oils may be utilised as inhalants, diluted in warm water, to relieve bronchial congestion..
An experienced Herbalist is trained in the ability to compound a cream to soothe an itch, assist the body to heal burns, ulcers and cuts, emolliate dry skin or as an aid in beauty therapy.